A strategic partnership funded by the European Union to provide education and professional development on sustainability issues in nursing has been launched by a project team led by Plymouth University. 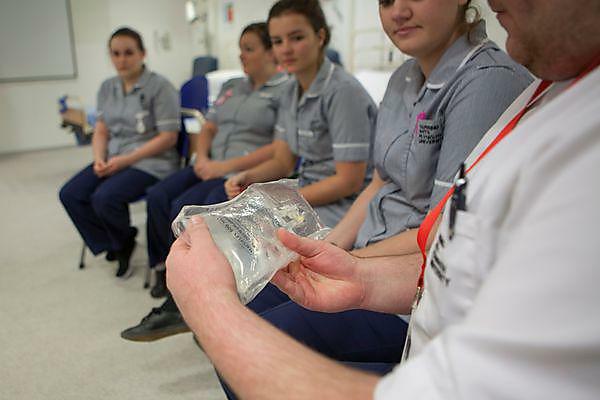 The NurSusTOOLKIT project is a three-year collaboration with funding of 448,000 Euros involving universities in Esslingen (Germany), Jaen (Spain) and Maastricht (the Netherlands) and which is looking to share best practice across the continent. This team brings together expertise in nursing, sustainability and global health and will produce a range of teaching and learning materials that will be freely available through the www.nursus.eu website. The content of the teaching and learning materials will be developed through a consensus approach, drawing on expertise from across Europe. The project team has already conducted a series of rapid reviews into published reports and papers, as well as curricula where attempts have been made to encompass sustainability, and held interviews with leading academics in the field. Their next steps will be to undertake a more detailed survey of experts in Europe to identify the most important sustainability knowledge, skills and competencies that should be included in a nurse’s education.